Dear Secretary of Defense, James Mattis. We, the Japanese people would like to express our full support for, and warmest welcome to the visit of Secretary Mattis to Japan and South Korea. 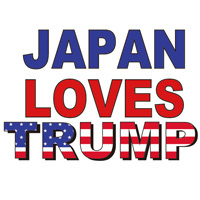 We would like you to know there are awakened Japanese who aren’t brainwashed by mainstream media which is so biased and misguiding as to describe President Trump as kind of disqualified President. The crisis in the Korean peninsula being imminent, we as the nations of the Japan are so grateful of your visit immediately after your inauguration. We believe your visit will make a significant contribution to the peace in the Far East and open the path for a multitude of Asian people to enjoy the peace in the region. Your visit will also make the friendly relations between Japan and the United States stronger and solid. I hope the history prove that President Trump and Secretary Mattis are the true peace maker. Dear Mr. Secretary, please ‘Be strong and very courageous’. As the Japanese who understand the true value of the Trump administration express our deep gratitude. The Japanese who stand with President Trump and Secretary Mattis.